This small-single screen is one of the last in its area to make the switch to digital. So why aren’t we filing it away further down? Because the area is Rochester, home of Eastman Kodak, aka the Company That Digital Nearly Killed. The Cinema’s swap this week from film to digital projection marks one of the last area theaters to make that switch. Rochester’s Little Theatre converted to digital last year, as did Avon’s Vintage Drive In. The George Eastman House’s Dryden Theatre added a digital projector last year. Rochester Theater Management — which operates movie theaters in Brockport, Geneseo and Canandaigua — did not return a message seeking comment. But according to its website, all three movie houses also have converted to digital. And according to the Digital Cinema Implementation Partnership — owned jointly by movie chain giants AMC Entertainment Inc., Cienmark USA Inc. and Regal Entertainment Group — Cinemark’s multiplexes in Gates and Brighton; Regal’s in Henrietta, Greece and Irondequoit; and AMC’s in Webster all have made the digital switch. The cheapest countries are Cuba, Haiti, Guyana, Lesotho, Laos, Iran and Turkmenistan, some of which are perhaps better known internationally for their films than their cinemas. Amazingly Australia falls outside the top tier of expensive cinemas, but probably only just, give the recent controversies about ticket prices. The full size map can be found here. RealD has signed a partnership/sponsorship deal with UK charity MediCinema, which brings movie magic to patients in the UK – and soon beyond. Founded in 1996 by Christine Hill, MediCinema has outfitted five U.K. hospitals, as well as a rehabilitation center for injured military personnel, with cinemas. The pact with RealD, which has promised to install 3D projectors in all of MediCinema’s theaters as part of an ongoing partnership, was a breakthrough for the nonprofit. The first theater to benefit from this deal was be Guy’s Hospital in London, which has 37 seats, plus space for five beds and 12 wheelchairs, and now a RealD 3D-enhanced projector. Canada: Q1 2014 figures are out for Cineplex and it looks like it’s been a bitterly cold Canadian winter wind blowing through the box office. 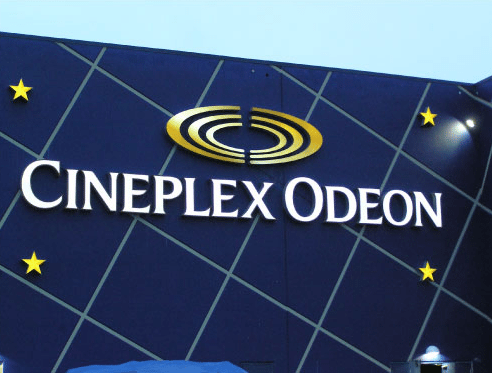 Toronto-based Cineplex on Thursday posted sharply lower first-quarter earnings due to extreme weather during the first part of the year and weaker film product. The exhibitor saw earnings for the three months to March 31 slide 42.5 percent to CAN$5.1 million (US$4.7 million), against a profit of CAN$8.8 million in 2013. Lower earnings came despite overall revenues rising 13 percent to CAN$280 million (US$257.3 million), with box office revenues increasing 7.6 percent to CAN$156.2 million (US$143.4 million). India: As far as lawsuits go, this one is pretty strange. Even by Indian standards. A consumer forum has dismissed a Rs 50,000 claim by a man alleging mental harassment against multiplex authorities over bad quality of a movie he saw in 2011, saying he could have left the hall if he did not like the film. A West Delhi District Consumer Disputes Redressal Forum also rapped Delhi resident Lovenish Kumar Bhardwaj for wasting valuable time of the forum. UK: This weekend is a very important one all across Europe and at least cinema in UK is determined to steal some audience away from television. Tickets are just GBP £15. 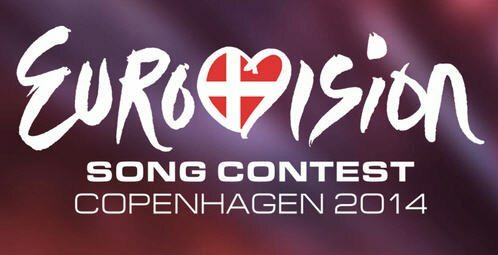 Tyneside Cinema and Divine Trash are marking this year’s Eurovision Song Contest with a party to celebrate the Grand Final in Copenhagen on Saturday. It will feature karaoke and late night DJ sets from Sheena Revolta and Lady Annabella in the Tyneside Bar on. China: Christie has its first Vive Audio customer in China. Perhaps no surprise, it is Wanda. Christie®, the world’s dominant brand in the digital cinema projection market, announced that Wanda Cinema Line, the largest movie theater operator in China, has installed the first Christie Vive Audio™ cinema sound system in its state-of-the-art Hall 9 auditorium at Beijing CBD Wanda Plaza located in downtown Beijing to provide the best possible cinematic experience for its movie-goers. China: Doremi is extending its training program in China. Doremi Labs, the global leader in Digital Cinema server technology, reinforced its position in the Chinese cinema market by initiating a series of customer response training seminars with several established partners in China. Germany: 3D? 4D? 7D? 9D? No, not enough. This is the most Ds I’ve seen in one of these theme park-cinema type of attractions: 12D. New dimensions wants the franchise system DeLux-Holding.de open: with two different products that bring the franchisees to customers. On the one hand, the company offers advertising is not on posters, but in three dimensions on floors, walls, truck tarpaulins or in shop windows. 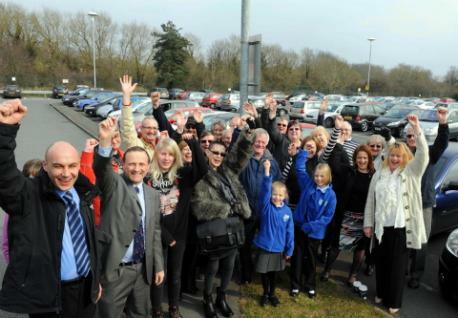 UK: A 10-year campaign to bring a cinema to Yate has finally paid off. Planning permission has now been granted for the Yate Cinema and the associated retail development, a decision which has been hanging on a knife edge. The May 8th meeting of a South Glos committee gave the go=ahead after a detailed debate led by Focus Lib Dem councillors Pat Hockey and Alan Lawrence. France: Plans for a multiplex in Romilly-sur-Seine have been voted down, to the relief of the downtown cinema. The proposed multiplex cinema on 13 hectares would have emerge in the next few months. SOPIC The planning group abandoned achievement. The current cinema Eden will not be closing its doors. Two structures can not be economically viable. USA (NM): An eight-screen cinema is coming to Carlsbad. The Carlsbad Department of Development announced plans Thursday to bring an eight-screen cinema to the Cascades at Carlsbad. The CDOD is working with Allen Theatres, which currently operates the three-screen theater at the Carlsbad Mall, to open the larger facility within the next two years. The theater company expects to keep the mall location open. 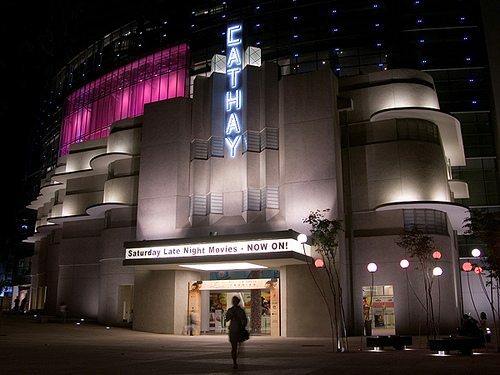 A super-fan of cinema in my adoptive town of Singapore gives the complete rundown on the Top Five cinemas to catch Godzilla, based on waaaah-haaay too much time spent in the dark. Forget ‘Godzilla’ for the moment, I have conducted the most thorough study over the last 10 years to determine the best Cinemas in Singapore. According to some rather questionable statistics, an average Singaporean goes to the cinemas 8 times a year. I instead, have watched a movie every week for the last 10 years at the cinemas. With close to 500 movies under my belt, I had to sacrifice a lot for the thoroughness of my “study”. Here are some of the things I had to endure over the last 10 years. I had eaten innumerable tons of over processed cinema food. Cheese hotdogs, salted and sweet popcorns, gallons of sticky nacho cheese with questionable nachos have all added to my waist size.